Please note that this is a DIY camera, not a commercial product. 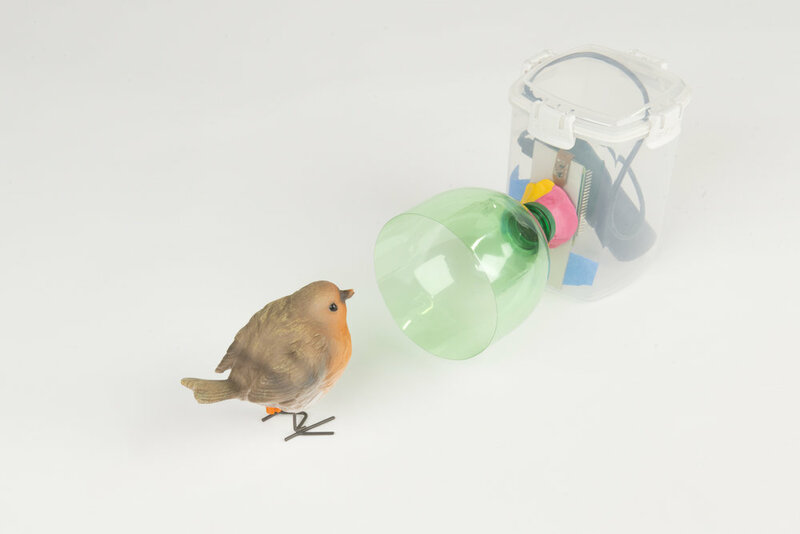 We have done our best to make the instructions easy to follow, but there are some fiddly steps and it may take some experimentation and tinkering to make things work. The parts you need to make the camera can be ordered from online retailers or bought in electronic hardware stores. Follow the links below to find out more about each part, some links lead to retailers but you may need to shop around to find the best deal for each part. Prices can vary considerably, but it should be possible to source a complete infrared kit for around £40. ** Please Note: Some retailers supply SD cards in bundles the have a operating system called NOOBS preinstalled. 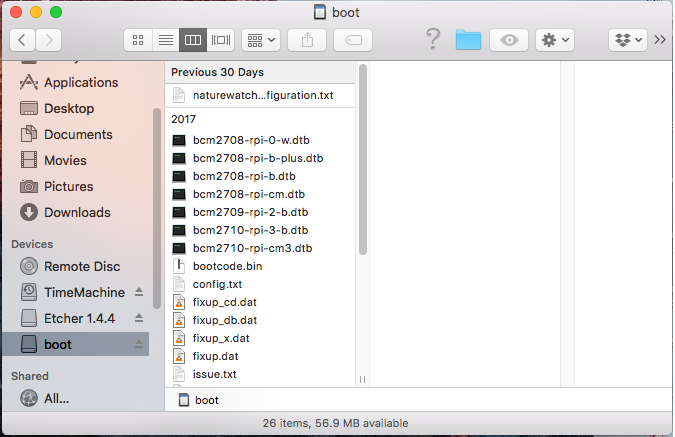 This is not the right software for the cameras, and will be deleted automatically when you install the My Naturewatch Camera software on them (steps 1 -5 below). Making My Naturewatch Camera is a 6 step process. Download the Software. The camera software needs to be installed on the SD card from the Internet. 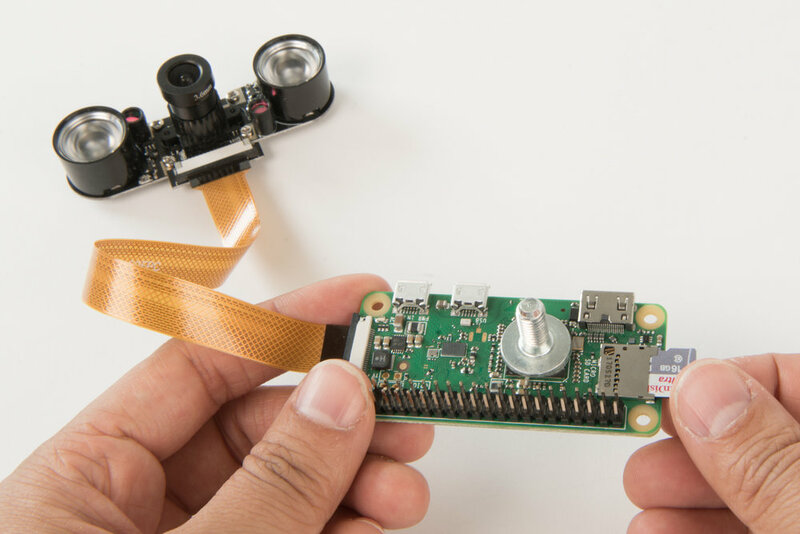 The Raspberry Pi Zero will read the software from the SD card to become a My Naturewatch Camera. Assemble the Electronics. Here you will attach the camera to the Pi Zero. It's a little fiddly, but with patience you'll manage. Name Your Camera. You can give your camera its own name and password. Test Your Camera. Now you can power up the camera and see if it works. Make the Camera Housing. Assuming you have a working camera, it's time to make a weather-resistant housing from household materials. Assemble the Camera. Finally, you're ready to fix the camera inside the housing and try it out! The whole process should only take 60 - 90 minutes. Copy the camera software to an SD Card (up to 1 hour). This software contains the operating system for the Pi Zero and an application that controls the camera. This bundled software is often referred to as a ‘disk image’. Downloading the software and installing it on the SD card can take a while, depending on things like the speed of your internet and the computer you’re using. You can skip to Step 7 and continue working through the ‘Assembly’ and ‘Housing’ sections while you wait for actions in steps 1-6 to complete if you like. 2. Take note of the location where the disk image is being saved on your computer. 3. Download an application called ‘Etcher’. This will copy the disk image to the micro SD card safely and easily (note: Etcher refers to the process of copying the disk image as 'flashing the drive'). 5. Using ‘Etcher’ software - select the disk image as ‘Image’ and the Micro SD Card as ‘Drive’, then press ‘Flash’. This step can take up to 30 minutes. The camera connector is very fragile, so take care on this step! 7. 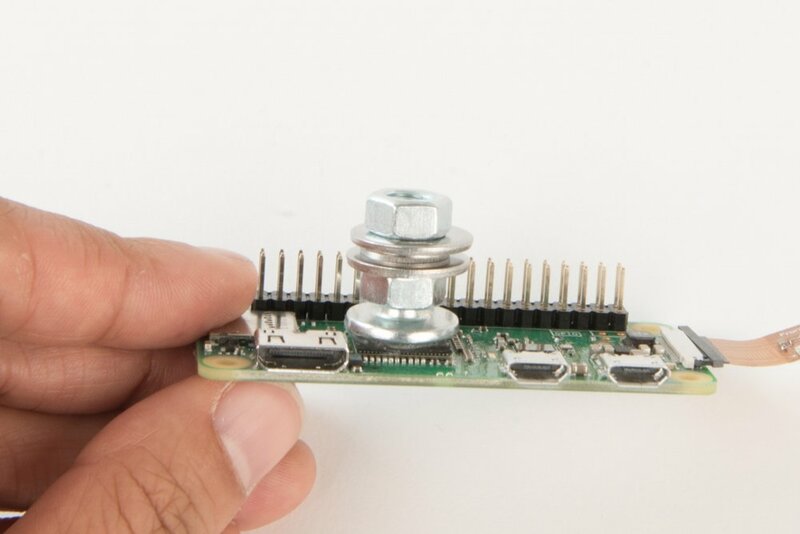 To attach the Camera Module to the Pi Zero: Unclip the black locking strip away on the white camera connector on on the Pi Zero - it should move outwards by 1mm and feel loose. Now insert the Camera Module ribbon under the black strip and into the white connector - the metal side of the camera ribbon should face toward the green board. Secure the ribbon by re-clipping the black strip towards the white connector. 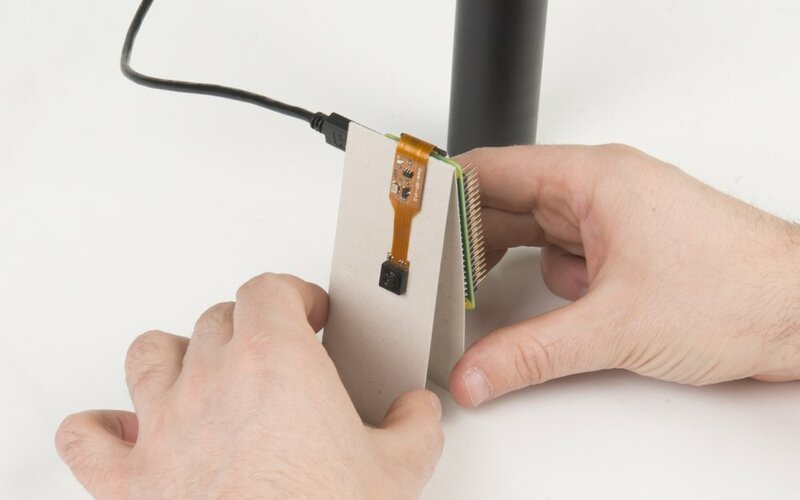 If the connector breaks, you can hold still use hot glue to hold the cable in place – but its best to be gentle and patient to avoid breakage. 8. Our low-tech solution for dissipating heat from the processor is to Super Glue a metal bolt to the large black square chip on the Pi Zero. Add nuts and washers for even better cooling. We have found the a flat headed bolt, around M6 x 25mm is size works well. More advanced users may prefer to use specialist heatsinks and thermal compound instead, but we have found the low-tech version works just as well. The ribbon cable can easily detach from the PI Zero. We recommend mounting both to a piece of card to protect the connection. 9. Fold a 160 x 40mm piece of card in half. 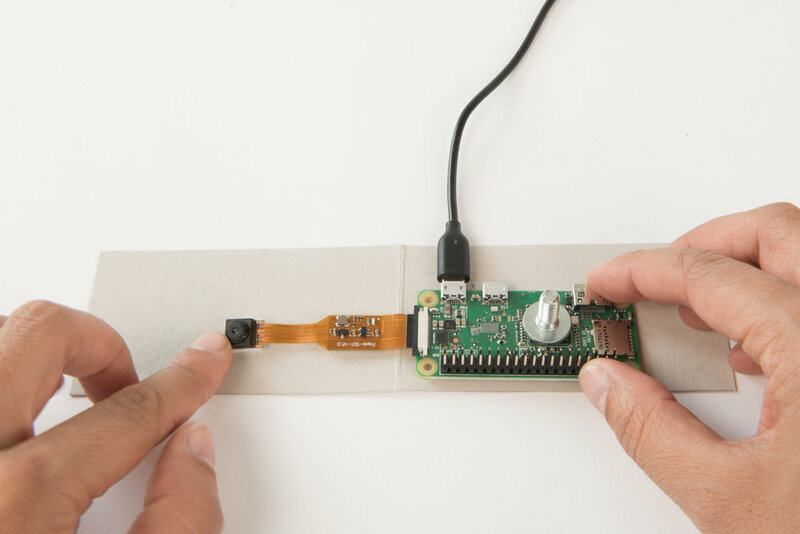 Stick the Camera to one side and the Pi Zero to the other, with the Camera ribbon hanging over the top of the cardboard. We have identified a bug with renaming the camera using Windows computers and are working on fixing the issue. Once Steps 1 - 5 are complete you can name your camera and make sure it works. 10. 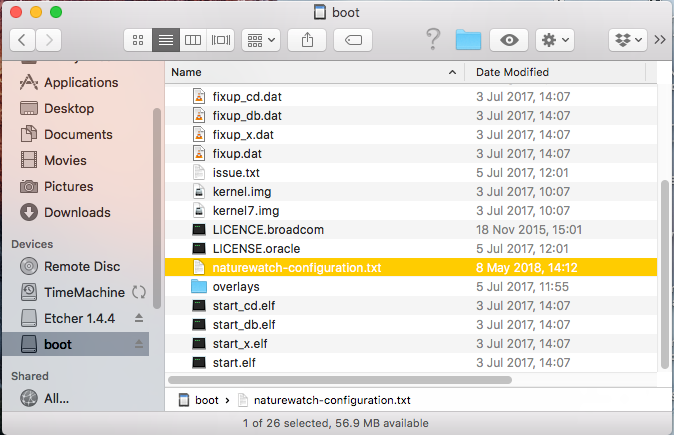 View the contents of the ‘Micro SD Card’ on your computer by selecting 'boot'. 13. Insert the ‘Micro SD Card’ into the silver socket on the Pi Zero - the metal side of the SD Card should face toward the green board. 14. 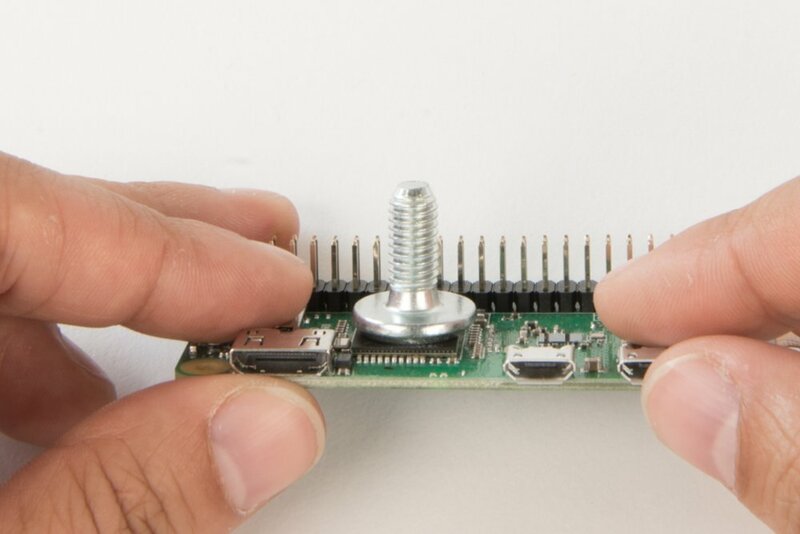 Power the assembled Unit by connecting the USB Power Bank to the Pi Zero. The LED on the Pi Zero will illuminate when successfully powered. The small end of the USB cable plugs into the ‘PWR’ port on the end of the Pi Zero closest to the camera. The large end of USB cable plugs into the USB battery (or any USB power source). 15. Allow 30 seconds for the Pi Zero to boot up. The green light on the Pi Zero will flicker to indicate processing. Once the system has started, a red LED on the Camera ribbon cable will light. 16. On a Smartphone, tablet or computer connect to the Pi Zero’s Wifi network using the name and password you chose when you named your camera. 17. Open any internet browser and visit the following webpage to access the Camera Interface, which should bring up a live-feed alongside a ‘Start recording’ ‘Sensitivity’ and ‘View Photos’ button. Find more information about the web interface in 'Using My Naturewatch Camera". Please note that the following instructions are for the Daylight camera. The night camera features infrared light units either side of the camera lens which need to be considered when making a housing. The infrared light units illuminate the subject with non-visible light and so it is important not to occlude this light with your housing. The camera works best if the lens is not behind the housing material, no matter how clear that may seem. We drill a hole in our housing and use a cover to protect the lens. 18. Pierce a hole in the side of a tall Food Storage Box, at a height that accommodates the Camera lens. The hole should be about 10mm in diameter, and can be made roughly with scissors, or accurately with a drill. 19. Cut around a Plastic 2Bottle with scissors to form a lens cover. 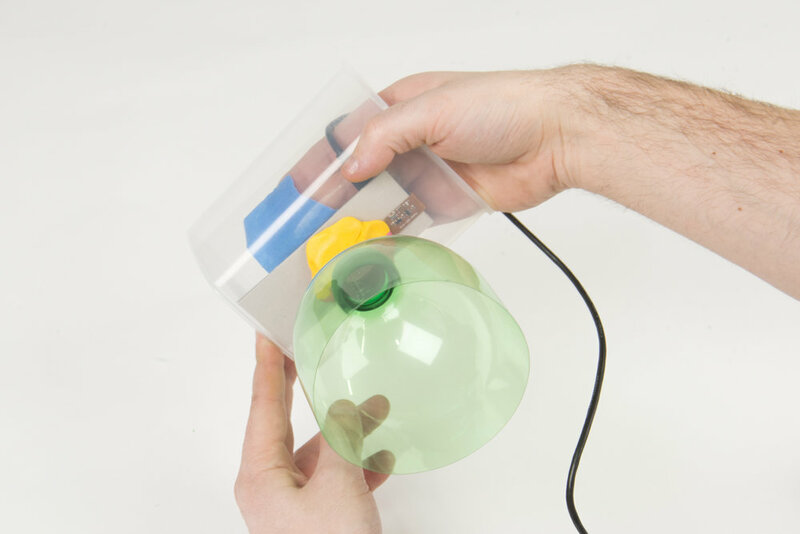 Position the bottle opening around the Camera Hole of the Food Storage Box and attach with Sugru, Blu Tack or a hot glue gun. 20. Tape the Cardboard camera mount inside the Tupperware, with the lens positioned to look through the hole you drilled, and place the attached Battery Pack inside. Tip: a pouch of silica gel will help any absorb moisture in the container. 21. Seal the lid - you now have a weatherproof myNaturewatch Camera! Make sure to read through the steps above and do not forget to read theHow to use your camera page. If you don't see an answer that helps, you can ask for and search for technical solutions at the My Naturewatch Discussion Forum.